As market researchers it’s part of our job to learn about people – to understand, through interaction, surveys, focus groups etc, what they like and dislike, what they need and what they believe. However, at a recent presentation I gave for the ICG, a membership group of independent, expert market researchers, I explained how, in Latin America and Brazil, learning about the local people and their culture must be the starting point before any market research project even begins. One of the issues potentially affecting market research projects in Latin America is the common view that Latin America is one country. 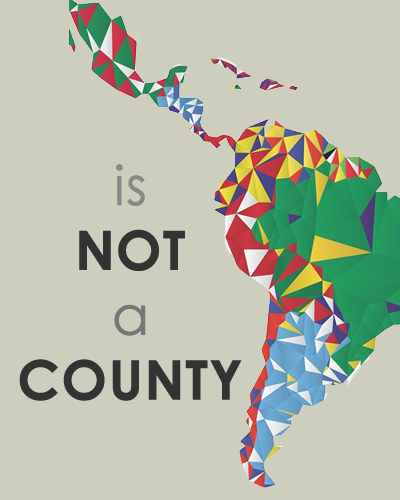 But each country in Latin America is different, with a different culture and a different way of viewing the world. Conducting a project in exactly the same way in each country, using the same methodology or the same questioning techniques, is not going to work. Your results will be unreliable and worthless. A prime example. Brazilians particularly love ranking things and as market researchers that will affect your prompts, annexes and the quality of material collected during the interview. In the UK, people tend to identify things with letters – so prompts usually follow the A, B, C format. In Brazil, people respond better to classification or numbers. Read anything about Brazil and you will see Brazilians describing themselves as the first on this, the sixth on that, the 10th here, the 15th there, and that is how they assess the world. When showing props or any annex in a research interview with Brazilian respondents, they will still make reference to first, second, third etc even if you insist on using codes with them. Transcription and analysis then becomes incredibly complicated and confusing. How much better to work in the way that suits local behaviour and culture in the first place! You’ve no doubt heard that Latin Americans generally take life at a slower pace than in the UK. Time keeping is more flexible – you will need to allow enough time to accommodate this. It is quite common for respondents to arrive late to focus groups because they have been watching the football or a soap opera on TV!